So let’s share some gaming projects! Projects we’ve backed, projects we love, projects that have let us down in spectacular ways. I’ll begin with some I’m backing at the moment. This is a game I’ve had my eye on for a while. 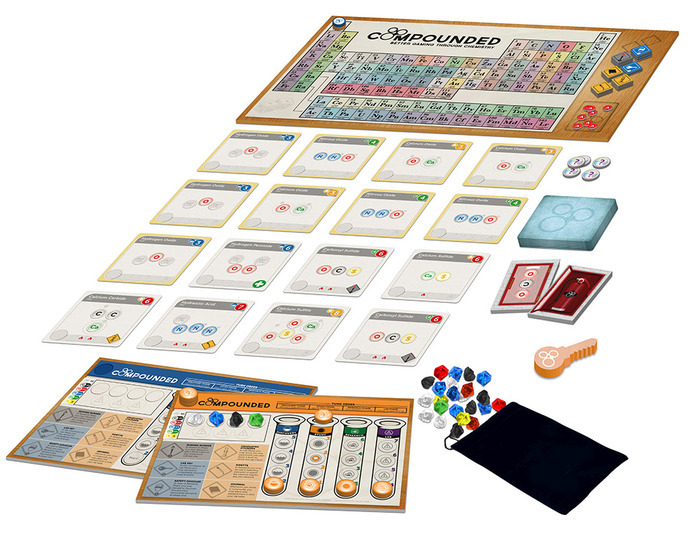 You work as a scientist and score points by building chemical compounds before your opponents. The score track is the periodic table! The Kickstarter is to fund the expansion, which introduces radioactive elements. These score more points than ordinary ones, but build up too much radioactivity and you’ll suffer. I have a bit of a love-hate relationship with Mantic games. 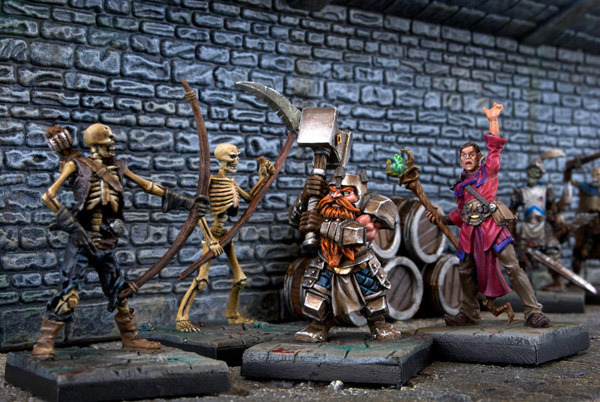 They’re a local (Nottingham-based) miniatures company, who make some brilliant games. I’ve backed all their projects so far, but I’ve actually played very little. Plus they make miniatures games, and I’m generally incompetent at gluing, modelling and painting. Despite all that, I’ve still back this because it looks AWESOME! 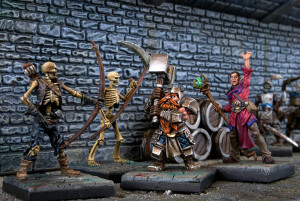 It’s a dungeon crawl (a lot like Descent) with a whole bunch of miniatures and ‘advanced’ rules for turning it into a hybrid board/roleplaying game. This is an example of the dark side of Kickstarter projects. To understand this project, the easiest thing would be to click the link above, and go to ‘comments’. See all those angry people? They backed this project about two years ago. So did I. 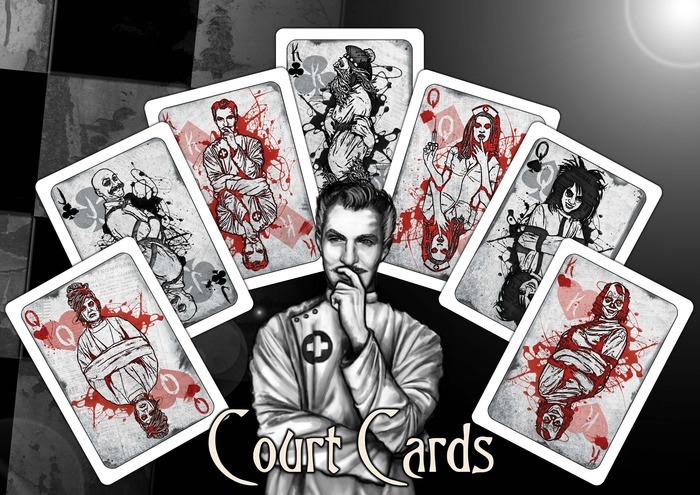 The guy who created the project is currently being sued for failing to deliver the rewards. The last project update was a year ago. We’re never getting what we paid for, and that’s a real shame. It’s also cases like this that remind you that Kickstarter is not a shopping website, and when things go wrong, there’s very little you can do. 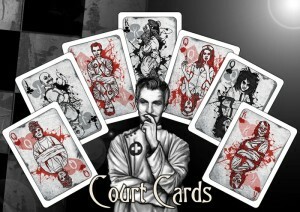 So that’s my Kickstarter hope and horror. Use the comments below to share your experiences, and any projects that have got you excited recently. We can get through this together. A recent success is obviously Zombie 15 which I’m utterly addicted to. Hence my recent review! My only regret, so far, is Press start Pocket. I was sucked in by the 8-bit artwork and the idea of having retro gaming midi themes on an app while you play. However, I failed to notice that it is simply another 2 player battle card game and furthermore the app still hasn’t been released. I’ve broken the seal on the first deck, but not attempted to play it yet. That last example is true evidence of my KS addiction. backing something at first glance without really assessing if it’s desirable to have in my collection makes for quite an expensive shelf ornament!